Get ready to meet a different kind of Brute. 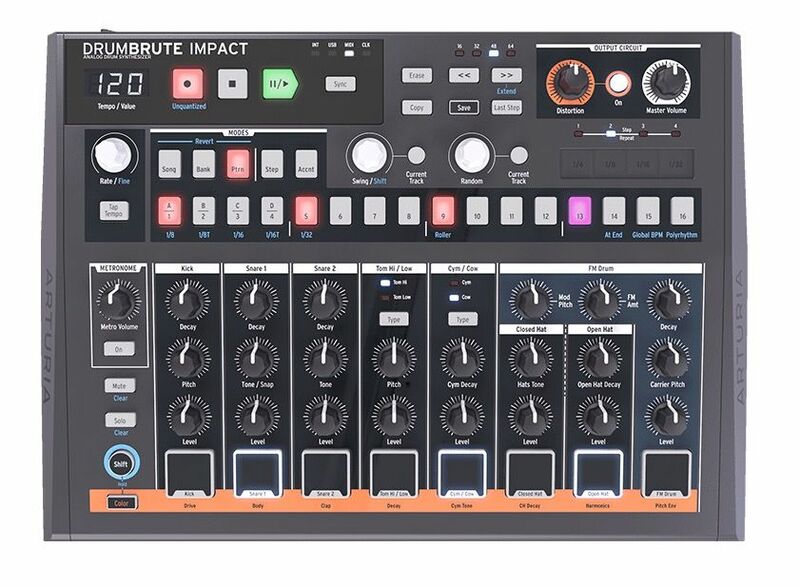 A drum machine with attitude, DrumBrute Impact is an addictively fun, instantly satisfying beat maker with a beefy, unique sound. Impact's sounds were designed from the ground up to stand out and get noticed. 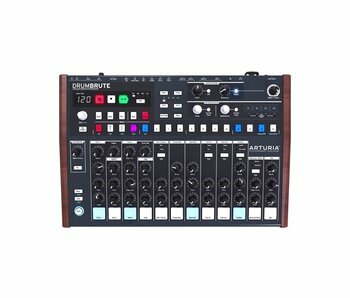 Each featuring a distinct, unique flavor, with a strong overall “kit” sound that will deliver the punch and power you need.Putting the focus on “Brute”, DrumBrute Impact features 10 high-energy, refined, punchy analog sounds. 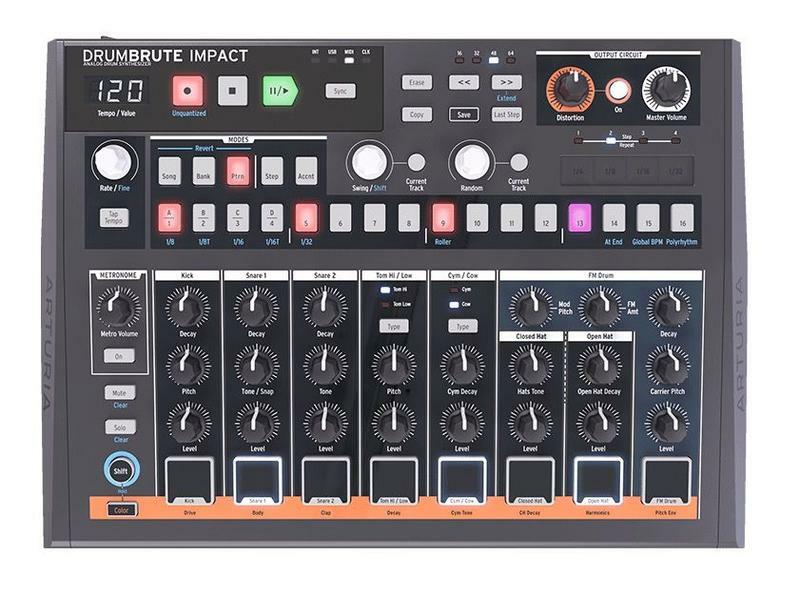 With just a simple “On” switch and a single knob, DrumBrute Impact's distortion circuit will add some grit and drive to your drums. 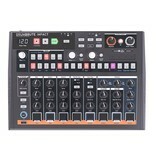 Tailored to percussive sounds, the Distortion knob can be cranked to get things a little “hot under the collar” without losing the all-important power and transient detail of each instrument. Thanks to the natural compression effect that goes hand-in-hand with distortion, the distortion can be used at more subtle settings to add that mix “glue” to bring everything together in a cohesive sonic space.